Former WSOP and WPT champ David Williams will be a contestant in Season 7 of MasterChef on June 1. Well-known pro poker player David Williams announced via Twitter that he'll be a participant in the upcoming seventh season of the popular cooking reality show MasterChef. 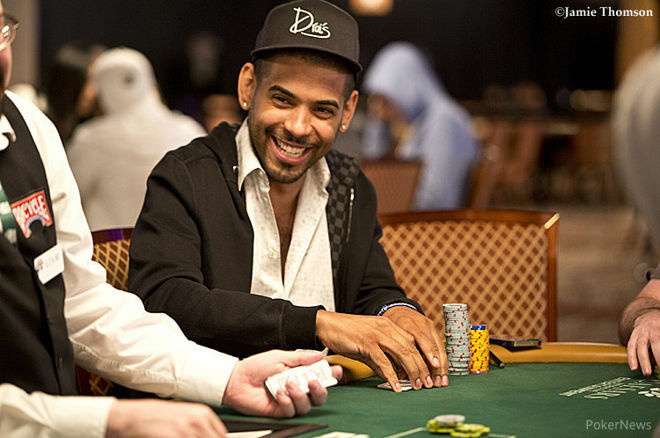 Williams, best known in the poker world for his second-place finish in the 2004 World Series of Poker Main Event, has accrued over $8.6 million in tournament cashes, including WSOP and World Poker Tour titles. He'll be among 40 contestants competing in a season premier June 1 on FOX. The show will air at 8 p.m. ET. On MasterChef, hosted and judged by famed TV chef Gordon Ramsay and Christina Tosi, amateur cooks compete with each other in cooking challenges and are eliminated across a season's worth of episodes until just one winner remains. That winner will receive a $250,000 grand prize and a cookbook deal. Dishes are judged for flavor, creativity, and presentation. If 40 sounds like a lot of contestants, that's because this season will presumably follow the format of Season 6, which opened with 20 "heads-up" matches. Winners of the matches will advance into the main show. The opening matches in Season 6 took up the first episode and part of the second, so if the format holds, Williams might only be guaranteed to appear in one or two episodes.